Porsche likes to take their Macan über-grocery getter to the track, but of course they do—they’re a fast-car company that doesn’t want to be called a sellout for building crossovers. Fortunately, owners are now trolling 911s and other like sports cars in a crossover capable of pulling 1.13 G in a corner. It is glorious. His Macan S has a nice list of Porsche go-fast kit, including the Sports Chrono/Sports Plus package, Porsche Sports Exhaust, H&R springs, and 20-inch Pirelli P Zero tires on Porsche Spyder wheels. 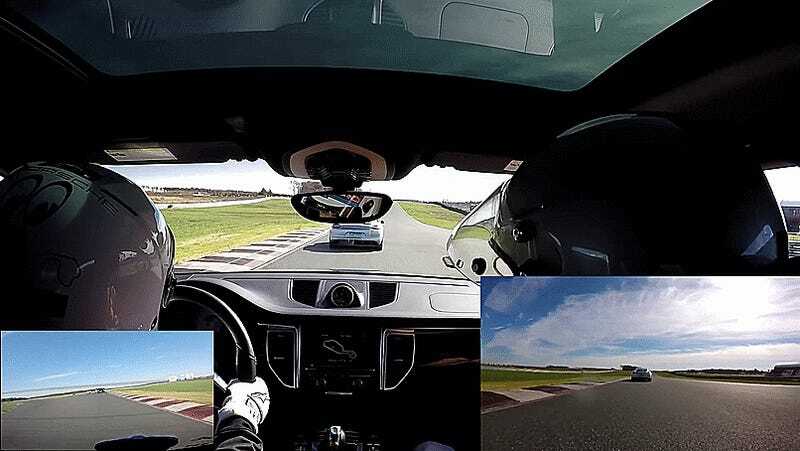 Some cars, like the Corvette, have the Macan on straight-line speed, but PSolk’s ability to toss the Macan around faster in the corners earns him several passes. Yes, the Macan did that. I’m having trouble believing it, too, but I can’t argue with the man’s onboard video. If there’s any better proof that learning how to drive well is the best mod you can make to your car, it’s got to be videos like this. PSolk says his best lap time was in the mid 1:39s on NJMP’s Thunderbolt course with a top speed of 126 mph—which is not bad at all for a tall 3,902-lb. behemoth. I can personally attest to the hilarity factor of driving a crossover on the track. When we went to check out the big Scuderia Society/McLaren Houston track day out at Circuit of the Americas, the guy who stole the show for us in front of millions of dollars of supercars was the instructor tracking a Macan. Bless your crazy heart, good sir, that is extremely relevant to my interests. But perhaps it shouldn’t be so crazy after all, even for people like me who prefer cars with a lower center of gravity than a tall crossover. Porsche, for all their marketing hype, is still going to be Porsche, and the Macan is by no means slow or ill-handling. Holy crap, I love hearing it squeal its tires, too. 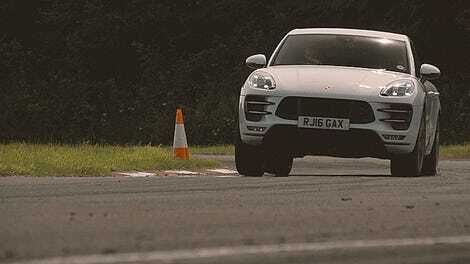 Can A Porsche Macan Turbo Pull Its Weight Against A BMW M2?